Ladies and gentlemen I give you the first runner up! 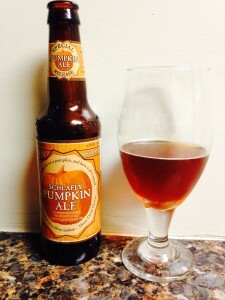 Schlafly Pumpkin Ale from the Saint Louis brewery, St.Louis, MO. This beer has a great smell, color, taste and boasts a 8% alc content! The subtle spices and fullness of this beer put it at a 9-9.5! The closest yet to Pumking, however you can also drink it all night without feeling too full! Enjoy this great beer!